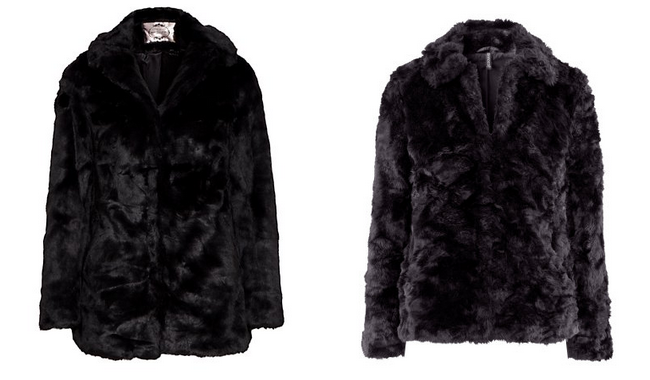 Today I’m sharing with you something I want: a black faux fur coat. Not too long ago I decided I want one and I have strolled down the internet quite a few times now, but I can’t seem to find the perfect one for a perfect price. I really like the one below from French Connection, but it costs € 239,96 and that’s not a price I can afford to pay for an extra coat. But it does feature the things I’m looking for in a faux fur coat: it has the right lenght, the right texture of ‘fur’ and a simple model. I like! One of these following two coats from respectively New Look and H&M could be nice cheaper versions. But they both still cost at least € 49,95. Ok, that’s not a lot of money for a coat, but I’m living on a budget here. Haha! I’m just hoping I will find a perfect one on sale or in a thrift store soon. Or if anyone has an idea of where I can get a coat similar to the French Connection one for up to about 30 euro’s? Please let me know! What do you think of faux fur coats? I think it can be really pretty and chique if you wear it the right way! 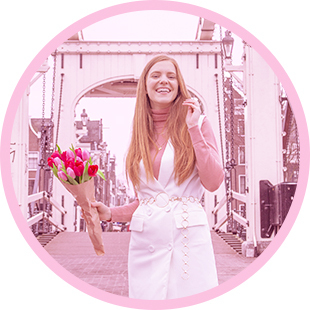 Allereerst bedankt voor je heerlijke comments op mijn blog!!! Ik ben ook je nieuwste follower!!! !